Honored to Be Celebrated at This Year's PNBA! I'm honored to have been chose one of ten new and emerging authors to be celebrated at the Pacific Northwest Bookseller Association at their Fall Tradeshow in Tacoma, WA this September. Many thanks to my publisher Laura Stanfill for helping to make this happen. Stay tuned for photos, blogs, etc. as this event occurs Sept 26 - 28th. 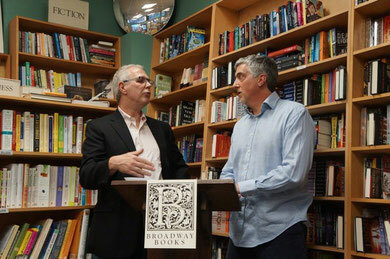 We had a great turnout at Broadway Books on April 24 for a joint reading with Rob Yardumian and his debut novel, "The Sound of Songs Across the Water." Great questions from the audience. Rob and I compared notes on character development, plot and the use of landscape in our novels. It was exciting doing my very first signing of an Advanced Reading copy of "The Gods of Second Chances" for Joe Kurmaskieon at Broadway Books on Independent Book Store day! Met some wonderful shoppers, and chatted with Whitney Otto. Finally got to meet my illustrator Reid Psaltis in person. His comics and illustrations have been featured on Top Shelf 2.0, Study Group Comics, Trip City, Scout Books Good Ink Series, and by other independent publishers. More of his work can be seen at reidpsaltis.com. 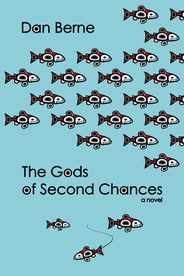 Renowned publicist Mary Bisbee-Beek read her ARC and said "The Gods of Second Chances is fantastic!"